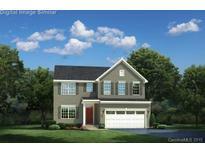 Find Concord, NC New Homes for sale. View Photos, Maps and MLS Data Now! Enjoy the community pool, playground and open space when you make this your new home! Find out more today! MLS#3496877. Eastwood Homes. Enjoy the community pool, playground and open space when you make this your new home. Find out more today! MLS#3493844. Eastwood Homes. The Mills at Rocky River - Schedule an appointment and move in to your new home this August. MLS#3496013. NVR Homes, Inc./Ryan Homes. Smart Home features included in this home are a doorbell camera, front door lock and thermostat with remote access, four zones of light controls, Walk-in-Fi Hub, and voice-controlled audio device. Find out more today! MLS#3494918. Eastwood Homes. Enjoy the community pool, playground and open space when you make this your new home. Find out more today! MLS#3493842. Eastwood Homes. The Mills at Rocky River - The upstairs laundry room offers convenience and accessibility. Welcome home! MLS#3496011. NVR Homes, Inc./Ryan Homes. Some info gained thru GIS and government sites, buyer to verify. MLS#3495286. Allen Tate Concord.